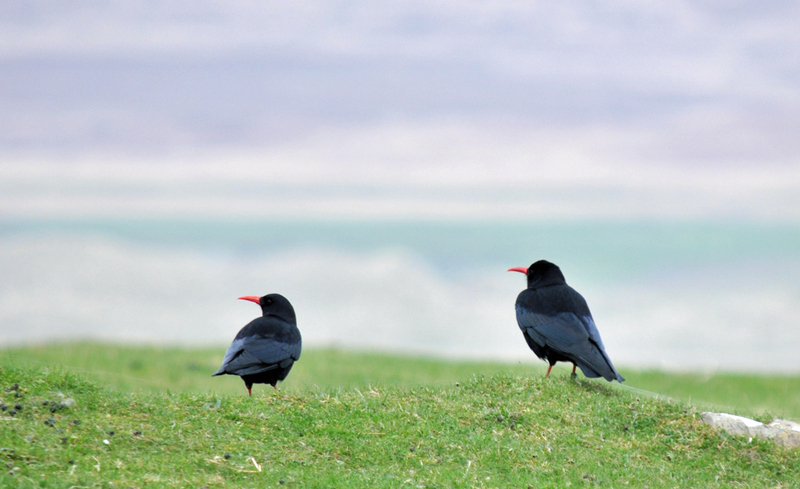 Choughs are fairly rare birds in the UK, Islay is one of their strongholds with significant numbers. These two I photographed in the dunes at Ardnave. Loch Gruinart is vaguely visible in the background. This entry was posted in Cloudy Weather, Landscape, Repost, Sea Loch, Wildlife and tagged Ardnave, Choughs, Islay, Loch Gruinart by Armin Grewe. Bookmark the permalink.